Researchers have initiated the world’s first widespread human testing of a vaccine that they hope will protect people who are age 65 and older against influenza. More than 10,000 people in this age bracket are being asked if they will take part in a study supported by the National Institute for Health Research (NIHR) in London and delivered by the University of Oxford. Registration is underway with a recruitment target set at 500. Researchers are evaluating whether the vaccine could have a major impact on the worldwide fight against the virus, which affects about a billion people annually on a global scale. The flu is responsible for between 250,000 and 500,000 deaths each year, with many of these deaths occurring in older adults. Registration of trial volunteers is underway. 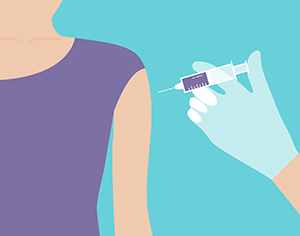 During its announcement of the study, the University of Oxford reported that current vaccines are only effective in 30 to 40% of the 65-plus age bracket; however, researchers believe the new vaccine could improve this statistic. For those who receive the shot but still get the flu, researchers think the new vaccine could also reduce the severity and duration of the illness. Volunteers will be registered at physician offices to take part in the trial, and 25 of the volunteers will undergo additional blood testing at the university. Participants will receive an annual flu shot in combination with the new vaccine or get a placebo. (The new vaccine has successfully undergone safety testing in 145 people.) Patients will not be told whether they are receiving the test vaccine or the placebo. The vaccine was developed by Oxford University’s Jenner Institute in cooperation with Vaccitech, a company affiliated with the institute. The study is being sponsored by Vaccitech and managed by the university’s Department of Primary Care Health Sciences with support from the NIHR.